Habitat and nutritional ecology, stochastic population processes, endangered species management/planning, remote sensing, landscape processes, species translocation and reintroduction. University of Idaho, Ph.D., Forestry, Wildlife, and Range Sciences, 1988. Dissertation title: Mule deer habitat selection in Columbia River rangelands of northcentral Washington. Oregon State University, M.S., Wildlife Science, 1977. Thesis title: Seasonal properties of the coyote scent station index. University of Missouri Columbia, B.A., Zoology, 1969. 1996-present: Assistant Unit Leader (Wildlife Ecology), U.S. Geological Survey, Alaska Cooperative Fish and Wildlife Research Unit, and Associate Professor, Institute of Arctic Biology and Department of Biology and Wildlife, University of Alaska Fairbanks. 1995-96: Assistant Unit Leader (Wildlife), U.S. National Biological Service, Arkansas Cooperative Fish and Wildlife Research Unit, and Research Associate Professor, Department of Biological Sciences, University of Arkansas, Fayetteville. 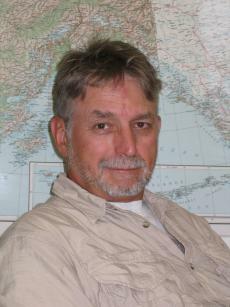 1991-95: Project Leader and Assistant Station Leader, U.S. National Biological Service, Alaska Science Center, Fairbanks Field Station. 1988-91: Assistant Unit Leader (Wildlife), U.S. Fish and Wildlife Service, Maine Cooperative Fish and Wildlife Research Unit, and Assistant Professor, Department of Wildlife Ecology, University of Maine, Orono. 1987-88: Research Associate, U.S. Fish and Wildlife Service, Idaho Cooperative Fish and Wildlife Research Unit, University of Idaho, Moscow. 1983-87: Graduate Research Assistant, Department of Fisheries and Wildlife Resources, University of Idaho, Moscow. 1979-83: Research Biologist, U.S. National Park Service, Pacific Northwest Region, Seattle, Washington. 1978: Wildlife Biologist, U.S. Forest Service, Bridger-Teton National Forest, Jackson, Wyoming. 1976-77: Wildlife Intern, Western Interstate Commission for Higher Education, Boulder, Colorado. 1973-76: Graduate Research Assistant, Department of Fisheries and Wildlife, Oregon State University, Corvallis. 1969-73:Helicopter Pilot, U. S. Marine Corps, Washington, D.C. and other locations. IUCN, Species Survival Commission, Re-introduction Specialist Group, Section Chair - Habitat Restoration. Member, TWS Technical Committee, Climate Change effects on Wildlife, 2002-2004. Member, Porcupine Caribou Herd Technical Committee, 1996- present. Representative, North American, Arctic Ungulate Society, 2003-2008. Treasurer, Northeast Section, The Wildlife Society, 1990-1992. Editor, Northwest Wildlifer, Northwest Section, The Wildlife Society, 1987-1989. Nicol, S., Roach, J.K. & Griffith, B., 2013. Spatial heterogeneity in statistical power to detect changes in lake area in Alaskan National Wildlife Refuges. Landscape Ecology. Meretsky, V.J. et al., 2012. A state-based national network for effective wildlife conservation. BioScience, 62, p.970*-976. Roach, J.K., Griffith, B. & Verbyla, D., 2012. Comparison of three methods for long-term monitoring of boreal lake area using Landsat TM and ETM. Canadian Journal of Remote Sensing, 38, pp.427–440. Roach, J. et al., 2011. Mechanisms influencing changes in lake area in Alaskan boreal forest. Global Change Biology, 17, pp.2567–2583. Belant, J.L. et al., 2010. Population-level resource selection by sympatric brown and American black bears in Alaska. Polar Biology, 33, pp.31–40. Griffith, B. et al., 2009. Climate Change Adaptation for the US National Wildlife Refuge System. Environmental Management, 44, pp.1043–1052. White, R.G. et al., 2006. Nutritional controls over caribou growth and reproduction in the Arctic: Is the ‘‘selfish cow’’ syndrome an Arctic adaptation?. In Keystone Resort and Conference Center, Keystone, CO.
Cameron, R. et al., 2005. Central Arctic caribou and petroleum development: distributional, nutritional, and reproductive implications. Arctic (Arctic Institute of North America), 58, pp.1–9. Hinzman, L. et al., 2005. Evidence and implications of recent climate change in northern Alaska and other Arctic regions. Climatic Change, 72, pp.251–298. McNeil, P. et al., 2005. Where the wild things are: seasonal variation in caribou distribution in relation to climate change. Rangifer, Special Issue No. 19, pp.51–63. U.S. Geological Survey, Cooperative Research Units Program, Scientific Excellence Award, 2002. U.S. Fish & Wildlife Service, Special Achievement Award, 1991-94. Northeast Section, The Wildlife Society, Outstanding Wildlife Paper, 1991. National Wildlife Federation, Environmental Publication Award, 1990.
International Union for the Conservation of Nature and Natural Resources, Species Survival Commission. The Wildlife Society, Certified Wildlife Biologist, 1982. Research Design, Univ. Alaska, Fairbanks, Spring 1998, Fall 2005. Readings in Conservation Biology, Univ. Alaska Fairbanks, Spring 1997, 1999, 2001, Univ. Arkansas, Fall 1995; Univ. Maine, Fall 1990. Conservation Biology Laboratory, Univ. Maine, Fall 1990, Univ. Alaska, Spring 1999. (19 October 2012) Wildlife conservation efforts in the United States are facing habitat loss, climate change and major reductions in funding. To address these threats, a group of prominent wildlife biologists and policy experts is recommending the formation of a state-based national conservation-support network. Their proposal is published in the November issue of the journal BioScience. (22 October 2012) AAAS EurekAlert!